Now for the first time ever in Bangkok, there are 30 available seats in a new program from the International Quilting Instructor Association (I.Q.I.A). After completing the course, you will receive a certificate stating that you are a pro quilter certified by I.Q.I.A. Two famous quilt instructors from Japan have arrived in Thailand to teach the course: Noriko Nozawa and Kayoko Ozono. You’ll start with an introductory 16 hour course to learn machine quilting, on a JANOME Horizon 8900 QCP. Next, take the 32 hour Basic course taught by Noriko Nozawa. Learn the latest machine quilting techniques. Explore the many sewing machine functions that apply to machine quilting. After that, continue on to the Advanced course with 48 exciting hours of class time, taught by Kayoko Ozono. Build your skills and learn to professionally machine quilt. 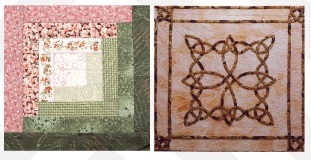 Completing this class certifies you as a Machine Quilting Instructor. Package A: Tuition is 80,000 baht which includes supplies, equipment, and you’ll receive a diploma from I.Q.I.A. Package A+ is the course + sewing machine: JANOME Horizon 8900 QCP (valued at 120,000 baht). Ask about the special payment plan of 4 payments and 0% interest with participating credit cards. Applications accepted now until November 15, 2013. Apply and make your payment by October 31 and you will receive a gift voucher worth 5,000 baht good for fabric and kits from JANOME. Location: JANOME Machine Quilting School headquarters on Soi 64 of Rama 3, Chong Nonsi, Bangkok. Tel: 02-285-2912-15 ext 128, 129.